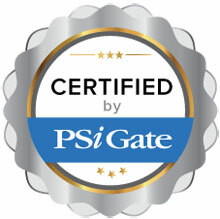 The ibiz10 shopping cart is fully certified to integrate with PSiGate’s payment processing gateway. This certified solution works in both Canadian and US dollars. Visa, MasterCard and American express credit card processing is available. Please note that some features are only accessible through the PSiGate online web interface and not through ibiz10. iBiz10 develops the best B2B and B2C e-commerce, m-commerce, e-quote, e-procurement solution for Computer VARs. It seamlessly integrates their business with their entire supply chain — from distributors right through to their end customers.